Rumblings against Apple's sizable take from App Store revenues could have an impact on the company's stock, given the new focus on Services revenue, an analyst said on Friday. "While the services segment grew 18 percent in the December quarter, we've now started to get investor questions worrying about whether the App Store will be the next shoe to drop," wrote AB Bernstein's Toni Sacconaghi in a note seen by AppleInsider. Specifically, he cited a series of headlines indicating that Spotify and Netflix have stopped offering in-app subscriptions, and that others like Fortnite developer Epic Games have threatened similar actions. Apple claims 30 percent from the majority of App Store transactions, which Spotify and others have complained can force them to hike prices or take a major financial hit. For some time Spotify charged $3 extra to in-app Premium subscribers, ultimately deciding to end the discrepancy and direct iPhone and iPad owners to its website. Apple's revenue cut does shrink to 15 percent for subscriptions over a year long, but this doesn't seem to have appeased developers. "Unsurprisingly, this 30 percent cut has transformed the App Store into the largest single driver of Apple Services, accounting for about 40 percent of all Services growth in the last three years by our estimates," Sacconaghi continued. "In recent years, however, discontent over this 'Apple tax' has been brewing among several major iOS app developers." The analyst cited Netflix's action as the trigger for investor concerns. 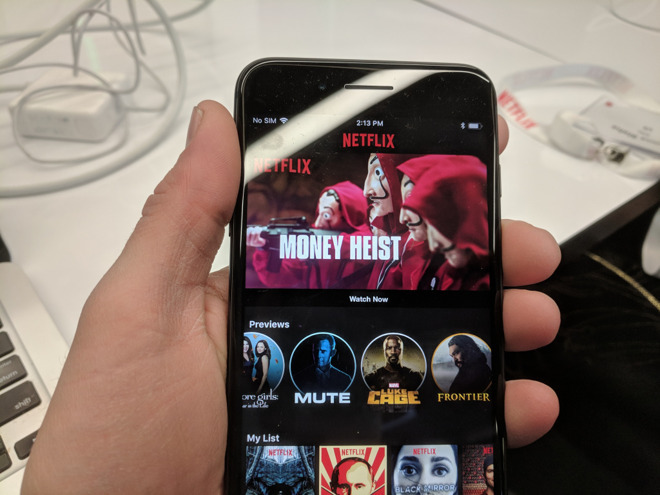 Apple Chief Financial Officer Luca Maestri has argued that Netflix represented "less than 0.3 percent of total services revenue" in 2018. Sacconaghi also pointed out, however, that an ongoing U.S. case is weighing whether App Store practices constitute a monopoly. The App Store is the only place developers are normally allowed to sell iOS apps, and losing the case could break the company's revenue streams. Developers on macOS, Windows, and Android are free to use third-party storefronts or their own. However, Sacconaghi doesn't seem to put any weight on any services that Apple will debut in the future, such as the expected video streaming service. Nor, does he seem to note that Services is more than the App Store, as Apple Music, AppleCare, and iCloud are all part of the revenue stream as well.